Doris found it in a junk shop in Prague. It had been there for some time. The owner did not remember buying it so it must have been in the shop when he bought it and that was back in the 1930s. She took it to a dealer who specialised in cheese graters. It meant a trip to Paris, but she had an itch that needed scratching so Paris it was going to be. The dealer said he needed a bit of time, so she left it with him and came back the next day. She could tell that he was trying to contain his excitement. 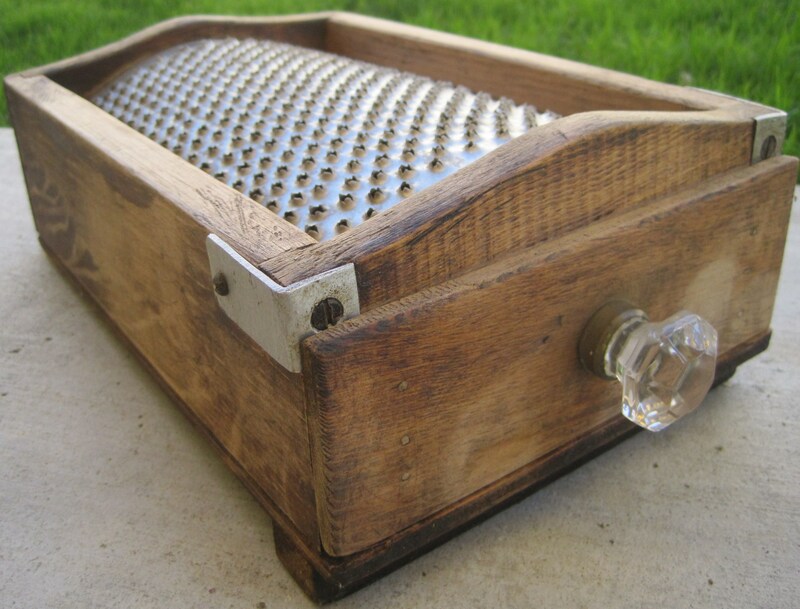 The grater was a prototype, handmade by the inventor of the cheese grater, Henri Le Clerk. Le Clerk was driven to invent the cheese grater because his wife was sick and tired of scraping her fingers on the sandpaper that everyone used to grate cheese before the invention of the cheese grater. Henri Le Clerk never got around to putting a patent on the cheese grater. Like Howard Florey who developed penicillin and Jonas Salk who developed the polio vaccine, he simply gave it to the world. His wife was proud of him, and that was enough to make him happy. ← Time On My Hands. You are very kind, thank you. I glad that you enjoyed it. Thank you for the kind words. As for Doris………. you know what Dorises are like, any excuse to go to Paris. Haha!Good on ya, Doris!Might even change my name to Doris, myself! Thank you for loving it. It would be heaven to be close to Paris. Two weeks on a ship from where I live. Lovely post. Inspiring story, tenderly told. Thank you. It is always fun when people enjoy what you write. I guess so……….. thank you for the comment. Ouch!…………….. thanks anyway for taking the time………..
Of course, I thought this coincidence of me and the graters and the French story was so weird and unlikely that I just went with a bad pun instead. What a cool story. What an interesting world we live in. Fact trumps fiction. Very cool. Thanks for that. I’m going to sleep now and dream of French cheese graters and cool Wpressers who tell me cool stuff. Good night. Great story! (See, I resisted the obvious! And of course it has been used above.) I never thought of a cheese grater as having an inventor and thought of it as a tool that had evolved over time, but this just shows that great ideas are so simple and natural that they seem to have just always existed. What simple machine or tool awaits to be born in the brain of some creative person that we won’t be able to live without? You showed remarkable restraint Catherine. Invention is a remarkable thing. Just when you think that everything that could have been thought of has been, along comes someone with one of those minds that sees clearly and they come up with something new. I love it.